January 18 – 20, 2018 – Birmingham, Alabama. 23rd Annual State Coaches Convention has the second largest crowd of coaches in the events history at 417, and picked up the most hotel rooms at 220, despite snow and ice conditions throughout the state the week of the convention. 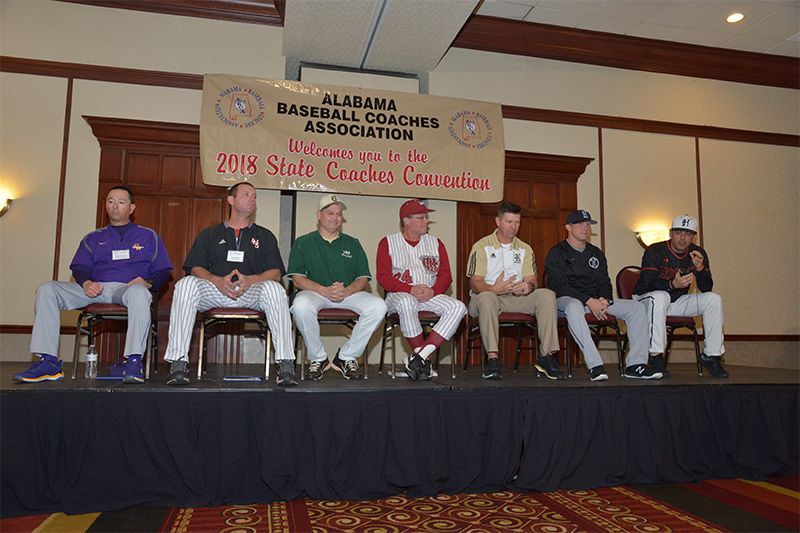 Pictured here is the 1A – 7A AHSAA State Champions Coaches Panel, which the attendees were treated to on the first morning of the convention. A very informative and insightful session from some of our state best and brightest coaches!